I thought so little of what Apple might announce during its March 25th splashy event that I scheduled my annual physical at the same. Not that you asked, and that’s okay: I am healthy for my age, which is not something that can be said of the publishers exposing their operations to the Apple News+ plague. 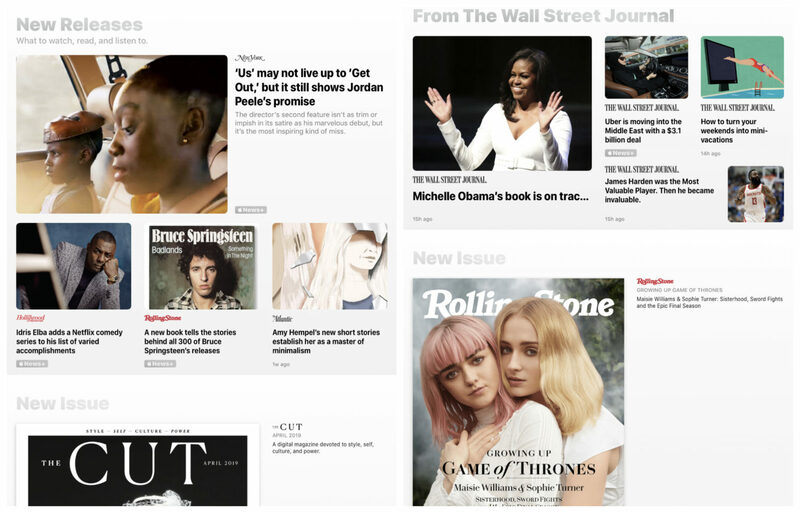 For consumers, the deal is sweet: $9.99 monthly for access to about 300 news sources—the majority magazines. The first free month tempted, and I had to try it out. As you can see from the screenshot, my tenure didn’t last long—not even a day. During 2019, my subs to Entertainment Weekly, National Geographic, New Yorker, and Rolling Stone will expire, and all of them are available via Apple News+ for pennies, by comparison, plus a heap of other mags I would love to read. But pennies is the appropriate vernacular, for the fruit logo company will extract for practically nothing hugely valuable content from its publishing partners. New York Times and Washington Post were right to refuse Apple CEO Tim Cook’s courtship, and the Wall Street Journal is wise to participate conditionally (quick, get out now). Some pundits might argue that, even with paywalls in place, many publishers give away content for free. True enough. But paywall publishers still control how much that website visitors can read (usually set number of stories per month), while offering separate subscription plans. The upsell is no sell, if the reader feels like he or she already pays Apple for the content. It’s guilt-free access and for a price familiar to anyone subscribing to, say, music services. Big difference: There are no royalties or residuals on magazine and newspaper stories like copyrighted catalogs of music, movies, or TV shows. As a journalist, I cannot support the further demise of my industry. Between 2008 and 2017, U.S. “newsroom employment declined 23 percent”—45 percent among newspapers—according to Pew Research. Even if a magazine goes all digital, and eliminates print production costs, someone has to write the content. Unless editors want to be bastions of (so-called) fake news, they need to maintain newsrooms of reporters, copyeditors, fact-checkers, graphic designers, and application/website developers. It’s hard enough to get people to pay, when content is free on the Interwebs. Paying a little to get lots leaves little room to collect enough to support content creation. With social media services spreading so much misinformation, the news industry needs competent, experienced editors and reporters. Sadly, I admit, the liberal press overly obsesses about Donald Trump, which distracts the fewer number of able bodies from doing important investigative reporting that serves the public interest. Related to both problems: Commentary and punditry—much of which is fake news because of its speculative character—fills the space(s) where originally reported stories should go. If, as rumored, Apple collects 50 percent of publishing partners’ revenues—and controls the subscriber relationship—no responsible news organization should prostrate its future before the great demigod Steve Jobs and his blessed, earthly incarnate Tim Cook. Not to be overly Biblical, but isn’t Apple the forbidden fruit? Publishers! Managing editors! Don’t eat, for you shall surely die. Let’s do the simple math (someone correct me, if my logic is faulty). Presuming 300 publishers at $9.99 revenue, and assuming Apple takes half, content providers earn $0.01665 from each subscriber per month. One million people subscribe, and the same number of publishers earn $16,650. That’s a whole lot better. Bump that number to 100 million, which exceeds the number of people using Apple News for free, the revenue looks rosier. It’s tempting to take the forbidden fruit. I won’t bite as a news consumer and surely wouldn’t if a magazine or news publisher. 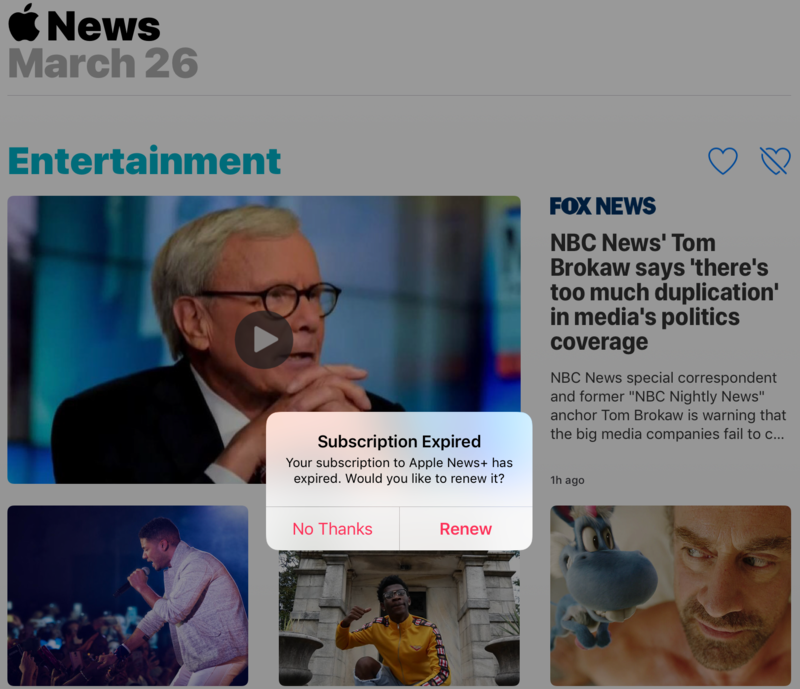 If Apple can convince enough iOS or macOS users to consume most or all their content in the News+ app, the immersive experience could generate enough paying customers to satisfy publishing partners; all while cannibalizing some subscriptions sold directly—a likely enough scenario if the News+ presentation pleases for the cost of pennies per publication. Someone could argue that boosting number of subscribers, regardless the source or revenue, is valuable for potential advertising benefits—because publishers can charge more for the ads. But not all subscribers are created equal. Surely a subscriber who cherry picks stories from 300 magazines and news sources isn’t as valuable as the one that chooses your publication over 300 others—and pays a premium price for the privilege. Consider someone paying $4.16 per month for Rolling Stone, versus the magazine collecting $0.01665 from Apple. Which subscriber is more intrinsically and financially valuable—and more likely loyal and an engaged reader? How ironic if in a year, early Apple News+ subscribers bail because the number of magazines drops to 150, or even 100—not because publishers abandon the service but by participating their operations collapse.